When you’re cooking, it’s often a tricky balance between making sure your meat doesn’t get too tough and your veggies don’t get too soft as you run around the kitchen in those last minutes of food preparation. 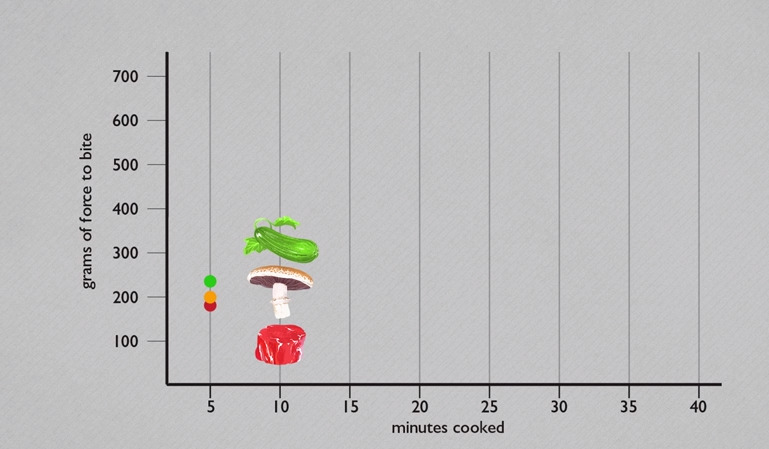 But there’s one type of food that appears to be resilient to becoming overcooked: the mushroom. To test it out, Dan Souza, the executive editor of “Cook’s Science” at America’s Test Kitchen, pitted a piece of portobello mushroom against pieces of zucchini and beef tenderloin. He steamed all three of them over 40 minutes. 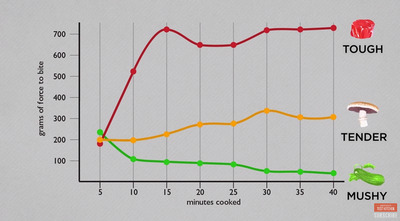 Every five minutes, Souza pulled out the three foods and ran it through a texture analyse, which measures how much force it would take bite into that particular food. At five minutes, all three seemed to be roughly at the same point of tenderness. But by the end of the 40 minutes, the results looked drastically different. The meat had become very tough, while the zucchini became mushy. 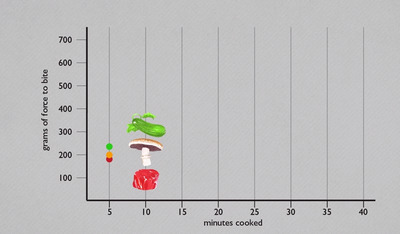 In comparison, the mushroom got a little tough, but not by much. It all has to do with the mushroom’s cell walls. They have a polymer (a large molecular structure) called chitin. “Unlike the protein in meat and the pectin in vegetables, chitin is very heat stable,” Souza explained in a video on the tenderness test. When you cook vegetables like zucchini, the heat breaks down the pectin in the plant’s cell walls. Expose it to heat too long, and you could end up with a structure-less glob. 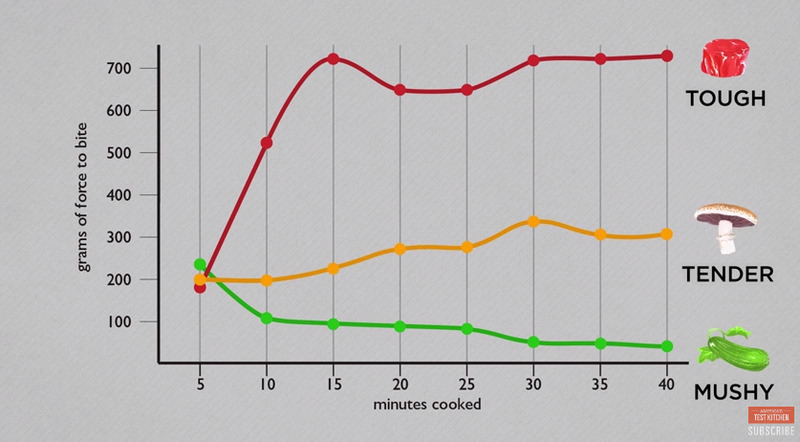 When meat gets exposed to heat, its proteins start to tense up, making it tougher and chewy. But when the chitin in mushrooms interact with heat, it doesn’t make very much of a difference. 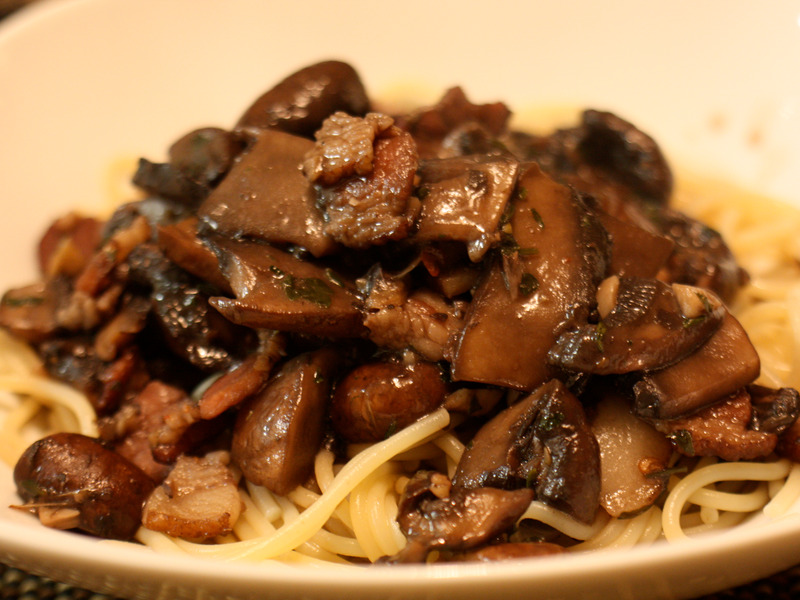 So don’t be afraid to keep your mushrooms on a little longer as you frantically run around the kitchen — they can handle it.